Liberal criminal justice systems try to analyse responsibility in terms of whether or not individuals deliberately cause bad events. That is fine for most crime - the kind that doesn't cause too much harm or lead to very severe punishment. But deep down it doesn't really fit with liberalism's thoughtfulness and fairness. Liberals take the responsibility of assigning responsibility seriously and once you do that it's obvious that this rough and ready legal approach doesn't rest on very firm foundations. Three such problems - fractional responsibility, corporate responsibility, and collective responsibility - make clear the compelling need for innovative new legal concepts, norms, and procedures. Fractional responsibility has two components: individual causal responsibility and moral responsibility. We know from common experience and common sense that an individual's causal responsibility for an outcome is always partial and complex, but in the artificial world of law that complexity is reduced to binary simplicity - guilty or not-guilty. Such simplification is disturbing both in its falsity and its moral justification. First, the law's approach to individual causal responsibility seems founded in the cognitive bias sociologists call the Fundamental Attribution Error (our all too human propensity to attribute responsibility for complexly caused outcomes to the intentions of nearby agents). When something bad happens, like a car accident in which a child dies (or, for that matter, an economic crisis), we automatically seek an agent to pin the causal responsibility on, and strip away much of the causally relevant situational factors in our eagerness to do so. The law is the institution that should challenge rather than reinforce that bias. Second this simplification is justified for the sake of expediency. Courts are in the business of making legal facts, which requires clarity of outcome (guilty or not-guilty) whatever the complexities of the internal deliberation. But liberals do not see expediency as an appropriate justification when lives are at stake, and are not afraid of complexity if the alternative is a misleading precision. Liberalism would thus seem to require the law to function more like the academic study of history, in which facts are discovered but complexity is fully incorporated in both analysis and nuanced conclusions. The problem for individual moral responsibility is the heterogeneity of human agents in terms of their capacities for rational deliberation and self-command, and the concomitant constraints on courts' ability to assess these. Assigning moral responsibility requires that the individuals in question be capable of forming intentions, understand consequences, forming plans of action, and so on. Of course, that excludes young children and the mentally ill, but the more one looks into it the harder it becomes to distinguish just who is or is not sufficiently capable of moral responsibility. The further condition of demonstrating that someone had the specific intention required for serious crimes like murder requires a court to perform a mind-reading. At present individuals are treated as equally 'normally' rational unless strong evidence can be introduced to show otherwise. Mind readings are performed by considering how an 'ordinary' person would have thought and acted in the situation the alleged offender was in, and deviations interpreted as a sign of guilt. However, neuroscience has lately been making great inroads against the folk psychological belief that people who do bad things are constructed in the same way as the rest of us and merely make bad - 'evil' - choices. They are beginning to get to grips with the variety of humans' neurological psychologies, and thus with the problem of asserting any particular form of deliberative capacity as a moral benchmark. (e.g. David Eagleman) How can we hold people responsible for morally failing to do what what their brain isn't wired for? The theory of neuroscience seems to augur a more personalised and de-moralised concept of individual responsibility, supported by technological tools for better mind-reading. It also augurs a radical reform of sentencing, from a punishment to a public health model. It doesn't make moral sense to punish a psychopath for his malformed brain, but it neither makes moral sense to release him back into the public. There will be more emphasis on rehabilitation and public safety, and also on trying to spot troubled brains before people can commit terrible acts. Of course this vision also has Brave New World characteristics that liberals will have to get to grips with, to ensure that these tools are used to enhance and support individual moral agency. But we can't do so by pretending that the science doesn't matter. We have new kinds of agents in the world than we did when the principles of criminal law were founded. Corporations can certainly deliberate and form intentions and they can certainly do significant harm in the world, but since they are not human individuals, the law has a hard time finding them criminally responsible for their actions. The idea of a criminally responsible agent must be extended to non-human entities, because suing such companies for their actions does not sufficiently recognise the criminality of their crimes, while bringing criminal charges against specific individuals within the company fails to acknowledge the holistic character of the corporation (as well as running into practical difficulties tracing responsibility through opaque hierarchies, committee meetings and CC'ed emails). I admit it's tricky to think about how this might work* - that's why we need new legal concepts, norms and procedures. Corporations pose metaphysical problems about identity that would need to be addressed (eg. location: where is a company; composition: who is in the company; continuity: after its merger, is this the same company that caused the Bhopal gas leak?). In addition while assigning criminal responsibility may be possible with innovative law-making, it is not clear what kind of punishment might follow - you can't put companies in jail! But one can return to the core foundations of criminal justice - punishment, rehabilitation, security (to others), retribution (to victims), and deterrence - and look for alternative sanctions that achieve those goals. For example, directors might automatically be held criminally liable (i.e. without proof of their individual responsibility); companies could be subject to punitive sanctions such as forcible break-up; even shareholders might be held culpable to some degree. Some of the sanctions developed in the much more innovative civil law might be relevant - e.g. with respect to rehabilitation: mandatory company wide diversity training following lawsuits for racial discrimination. It may also be possible to change the institutional construction of corporations to make them better resemble moral agents, whom we could then hold accountable to justice (as they are presently for their bottom line). The worst crimes of the modern era are also some of the strongest reasons to question the individual responsibility model. The 20th century crimes of genocide and mass murder committed across Europe, Asia, and Africa cry out for justice and the western criminal law model has been a glaring failure if not a farce. Imagine trying to take the tragedy of Rwanda in which 800,000 people died and find some few individuals who were responsible, and then trying them using standard western procedural rules! That's what the International Criminal Tribunal for Rwanda has been trying to do against some 50 or so individuals. It's absurd. We all know that at least tens of thousands of people were actively involved in Rwanda's killing, and many more supported it enough to profit by it, for example by taking over the property of the dead. The nature of the crime, and all other mass crimes, was collective not individual. It followed the logic of the group, which provides its own reasons and justifications that human minds in the right conditions find it all too easy to go along with (and very few ever manage to stand up against and say no). Criminal justice for these crimes requires legal concepts adequate to their collective nature. Can justice really be said to have been done when victims must continue to live next-door to the murderers of their families? Is that a good basis for a sustainable peace? 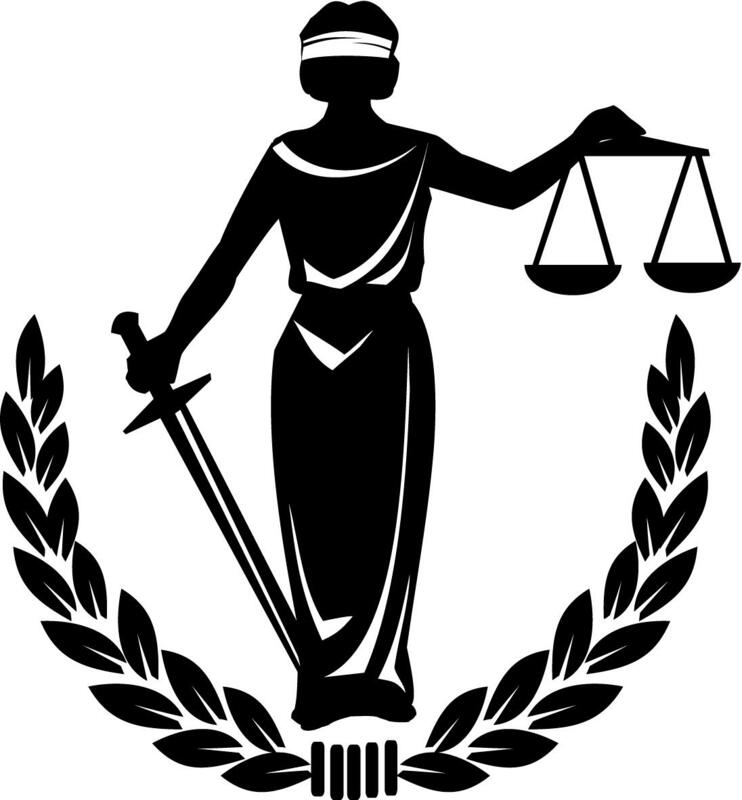 Although it fits awkwardly with liberals' foundational ethical concern with individuals, criminal law for such extreme cases needs to extend beyond individuals to consider groups' responsibility for such crimes and hold their members collectively responsible, and also consider appropriate forms of collective punishment. Conceptually, that might involve reversing the burden of proof in some circumstances - for example holding everyone of one ethnic group in a specific region where large and sustained ethnic massacres took place automatically guilty unless they can produce evidence showing otherwise. Collective punishment should be weaker but still have bite, and might include confiscation of the group members' land and property; compulsory resettlement (not all in the same place); reparation payments, and so on. As well as strict punishment (the toughest liberal moral principle to reconsider), this would presumably be guided by concerns for restitution and security (for the survivors of the injured group); rehabilitation (i.e. non-punitive positive aspects such as re-education and truth and reconciliation tribunals); and the deterrence of future atrocities (a message to all who might consider joining in such crimes, as well as to those who might consider leading them).